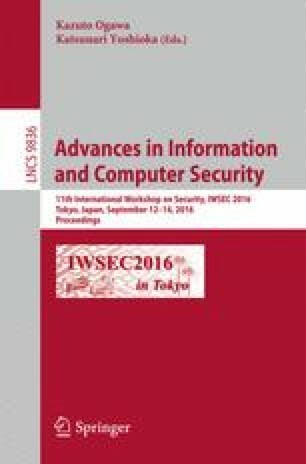 The security of a number of modern cryptographic schemes relies on the computational hardness of the learning with errors (LWE) problem. In 2015, Laine and Lauter analyzed a key recovery (or decoding) attack against the search variant of LWE. Their analysis is based on a generalization of the Boneh-Venkatesan method for the hidden number problem to LWE. They adopted the LLL algorithm and Babai’s nearest plane method in the attack against LWE, and they also demonstrated a successful range of the attack by experiments for hundreds of LWE instances. In this paper, we give an alternative analysis of the key recovery attack. While Laine and Lauter’s analysis gives explicit information about the effective approximation factor in the LLL algorithm and Babai’s nearest plane method, our analysis is useful to estimate which LWE instances can be solved by the key recovery attack. Furthermore, our analysis enables one to determine a successful range of the attack with practical lattice reduction such as the BKZ algorithm. This work was supported by CREST, JST. This work was also supported by JSPS KAKENHI Grant Number 16H02830.